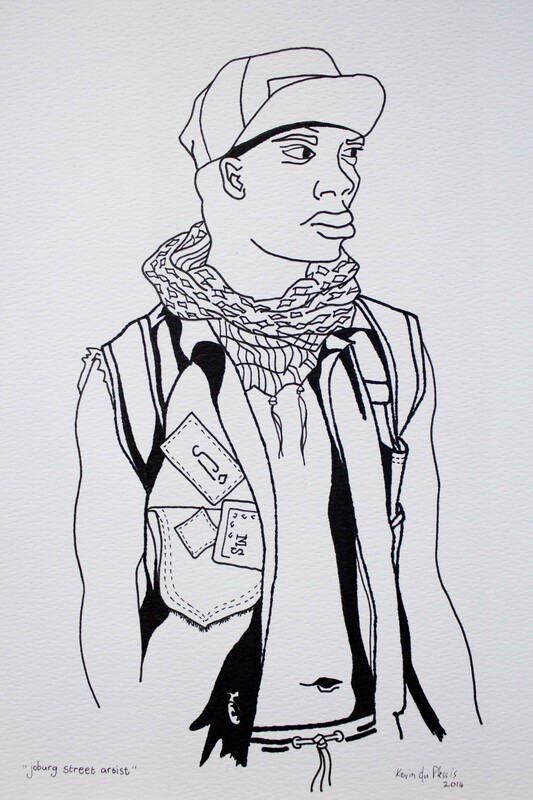 “Joburg Street Artist”. Ink illustration on paper. Kevin du Plessis. 2014. This entry was posted in Art and tagged art, illustration, ink, Johannesburg, South Africa. Bookmark the permalink.